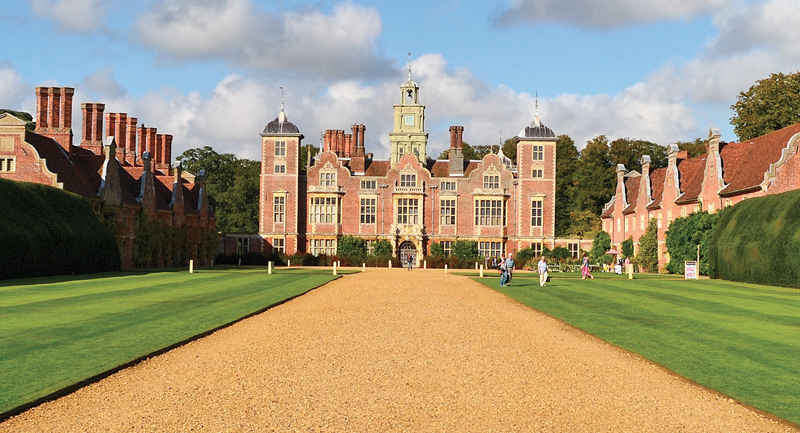 Our FHBVC Drive It Day event will this year consists of a drive to the National Trust property, Blickling Hall, in Norfolk. https://www.nationaltrust.org.uk/blickling-estate .The Blickling Estate was the birthplace of Anne Boleyn, and during WWII RAF Bomber Command aircrew were billeted there. The estate has the Jacobean mansion of course, but also a garden and a deer park with walks, together with an RAF museum, shop, second hand book shop, seasonal plant centre, cafes, and a pub. We will meet in the car park of the Van Hage garden centre, PE1 Retail Park, Eye, Peterborough, PE1 4YZ. The garden centre and it's cafe opens at 9.30am. It is suggested that cars leave at intervals between 9.50-10.10am. A suggested optional "tulip diagram" route will be provided. The route is approximately 80 miles. The Estate has advised that they will provide a reserved area within the main car park for our vehicles. The house closes at 5pm with the remaining attractions closing at 5.30pm apart from the park which is open until dusk. For none National Trust members there are two admission charge options. For the whole property the charge is £16.50 (Gift Aid), £14.85 (Standard) per adult. Alternatively, on payment of £5 for parking, there is then free access to the shops, cafe, RAF Oulton museum, plant centre, second hand book shop, pub, and park (excluding the garden). Parking can be paid for by machine (which doesn't take notes) or via the Estate Barn Visitor Reception. The Stables: You'll find plenty of choice at The Stables, from hot and cold dishes to soup, sandwiches and cakes. They use local, seasonal produce wherever possible and have a continual supply of fruit and vegetables from the walled garden. Muddy Boots: You'll find wholesome, hearty snacks served all day, in a relaxing environment, and it's the ideal place to warm up after a blustery walk. Muddy Boots is next to Visitor Reception in the main car park and offers a cosy atmosphere, whatever the weather. Dogs are welcome. The Farmyard Cafe: The perfect spot for a quick break whilst on a walk around the estate*. Grab a snack or hot drink and continue with your visit. You'll find the café in the Farmyard, by the book shop stamp shop and plant centre. *Dogs are welcome in Muddy Boots and the Farmyard, but are not permitted on the main driveway, in the East Wing, house or formal garden. Dogs must be kept under close control. The Bucks Arms: You'll find this seventeenth century traditional pub and former coaching inn, on the walk down from the main car park to the house. A pub and restaurant with rooms, it's the perfect place to start or end your day at Blickling Estate. Anyone with particular dietary requirements is advised to contact Blickling Estate in advance of their visit. Participants are free to depart when they wish. To book a place on this event please contact Trevor Sherwood, email: thsher@btinternet.com, providing your car model and registration.